Dairy foods are sought out not only for their wonderful taste, but also their amazing nutritional value. Perhaps you know about the bone-building power of dairy, but there are a few health facts about dairy you may not have heard about. Cheese is one of America’s favorite foods and included in many of our favorite dishes like macaroni & cheese and pizza. Besides its great taste and versatility, one of the best qualities of cheese is that it can help prevent cavities. Casein, a protein found in cheese, helps to strengthen tooth enamel and prevent cavities. Now you have another reason to say “cheese” when you show your pearly whites for pictures! There is a growing body of research that shows the saturated fat in dairy foods does not increase the risk for heart disease as once thought, and it has to do with the “company” of nutrients that it keeps. It is hypothesized that the other nutrients in dairy foods might prevent the saturated fat from contributing to heart disease. The research does not show that the saturated fat in dairy food prevents heart disease, just that it does not increase the risk. Calcium is important in our diet for a variety of reasons. One of the top reasons is that it aids in the absorption of vitamin D, which helps build and maintain strong bones. However, not all calcium is absorbed equally. Some foods contain a type of calcium that is not easily absorbed or contains other nutrients that inhibit its absorption. Dairy foods like milk, cheese, and yogurt have a very high calcium absorption rate of 32 percent, as compared to that of spinach, which is only around 5 percent. 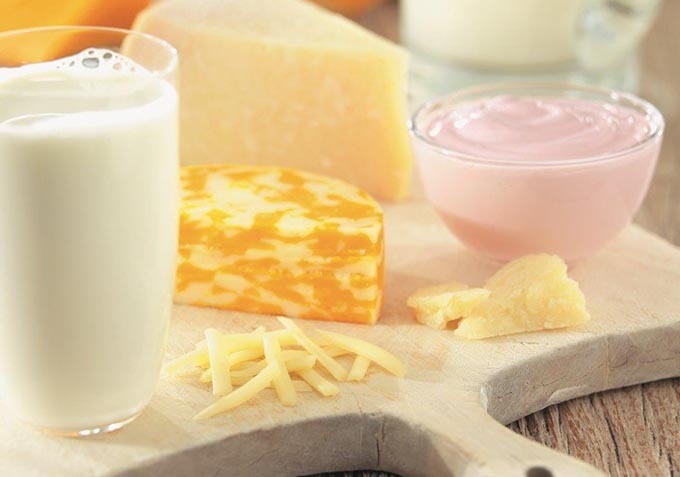 Choosing dairy foods can help your body absorb the calcium it needs to build strong bones. Learn more about the health benefits of dairy of foods and delicious dairy recipes.